Hawai‘i is a vital resource for advancing U.S. research, technology and national security, in the fields of remote sensing and astronomy but faces ongoing challenges in meeting workforce needs. 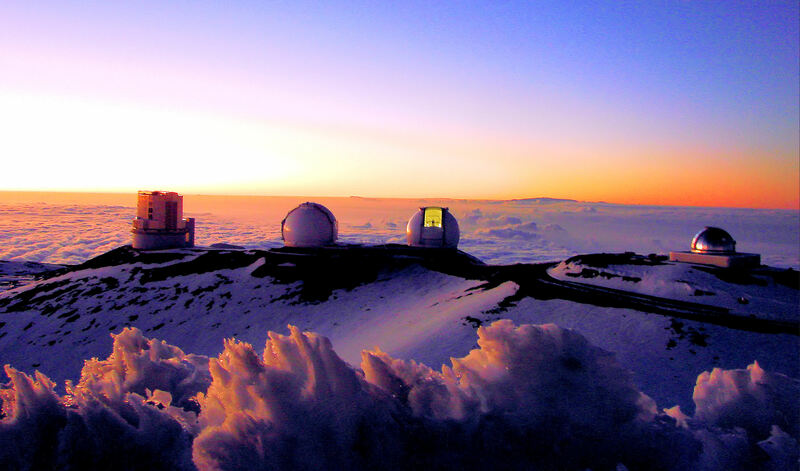 Construction of two new telescopes is underway: the Thirty Meter Telescope International Observatory (TIO) on Maunakea, and the Daniel K. Inouye Solar Telescope (DKIST) on Haleakala. Workforce needs for both telescopes will be increasing over the next decade, affecting all existing facilities and projects in Hawai‘i. Akamai supports the specific workforce needs that come with these telescopes, by preparing local college students for telescope jobs, while simultaneously contributing to a healthy workforce by including support for people across a broad range of science, technology, engineering and mathematics (STEM) fields. Akamai is based on a well-supported rationale that Hawai‘i’s workforce needs are attainable through a modest increase in retaining STEM undergraduates and broadening participation to include more Native Hawaiians, women, and other groups underrepresented in STEM. The program has a lengthy record of success, including long-term retention of >80% of Akamai undergraduate interns in a broad range of STEM degrees and careers. Akamai’s history has shown that an investment in college students pursuing STEM can translate into a reliable pool of qualified employees 4-6 years later (ideal for the timescale of DKIST and TMT). This local situation is not an anomaly, small increases in STEM retention at a national level could meet a large fraction (~3/4) of U.S. STEM workforce needs. Retaining students can be accomplished with changes in the way STEM is taught and mentored. However, professional development is required to prepare scientists and engineers to be inclusive in the ways that they teach, train, and mentor.